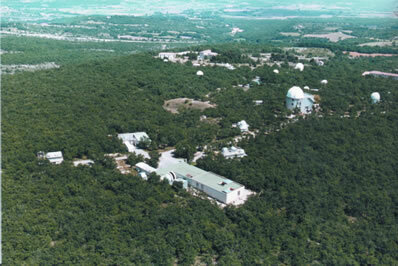 The "Observatoire de Haute-Provence", OHP, Southern France (43.94°N, 5.71°E, 650m asl), is part of the "Observatoire Astronomique de Marseille Provence", OAMP. OHP is one of the primary alpine stations of the international Network for the Detection of Atmospheric Composition Change (NDACC) and is also part of the network of WMO's Global Atmosphere Watch (GAW). The station also reports the stratospheric column amount of ozone and NO2 (stratospheric reference provided by a SAOZ instrument operated by CNRS at OHP since 1992), as well as ancillary data as vertical distribution of pressure/temperature (radio-sondes and temperature LIDAR), ozone (electrochemical ozone sondes, LIDAR, SAOZ and Dobson), and aerosols information (CIMEL instrument operated by Lille University in the AERONET network context), very useful for the MAXDOAS analysis and for the interpretation of the results. Because OHP alternates between background and polluted conditions (essentially due to transport from polluted neighbourhoods), it is a very interesting location for tropospheric observations, providing thus support to validate satellites. BIRA-IASB has participated to the NDSC/SCUVS-3 intercomparison campaign that held at the Observatoire de Haute Provence for three weeks in June 1996. The purpose of this exercise was to compare NO2 and O3 slant columns from UV-Visible measurements but in parallel to the NDSC activities, BIRA-IASB contributed also with other European groups to the intercomparison of BrO measurements. Even though the site was not appropriate for the detection of this species, it was a good opportunity to discuss about the measurement techniques and to improve the DOAS retrieval algorithms for BrO. In 1998, BIRA-IASB came back to OHP with a innovative instrument optimized precisely for the detection of the BrO. In order to reduce the impact of the polarization and of the Ring effect on twilight observations, the spectrometer is mounted on a rotating plate, fully automated by software to follow the solar azimuth. The instrument is placed on the top of the geophysics station. At the end of 2002, the instrument has been improved by the addition of a mirror in order to complete zenith-sky measurements with off-axis ones. These latter measurements are important in order to separate the tropospheric and the stratospheric components from the slant columns. 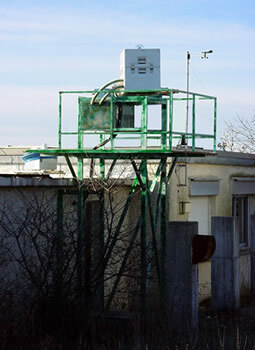 The instrument left OHP in July 2002 to participate to field campaigns organized in the Po valley (Milan area, Italy) in Summer 2002 and Autumn 2003 in the frame of the European project FORMAT (FORMAldehyde as a tracer of oxidation in the Troposphere) and also to the NDSC intercomparison campaign at Andoya (Norway, 69°N) in Winter 2003. The instrument in its current version reintegrated OHP in 2005. BIRA-IASB provides the GEOMON data base (http://www.geomon.eu) with BrO 90°-80° differential slant columns densities measured at OHP. Moreover, data from the MAXDOAS instrument of OHP are currently used in the O3MSAF framework for the validation of the operational GOME-2A and GOME-2B NO2 product (Lambert et al., 2008; Pinardi et al., 2011; Pinardi et al., 2013). Although it is largely rural, OHP can occasionally be influenced by polluted air masses transported from neighbouring cities, providing interesting test cases for GOME-2 sensitivity to tropospheric NO2. You can find more information in Valks et al., 2011, Pinardi et al., 2011, Pinardi et al., 2013, on the validation webserver for the OHP figures or contact Gaia Pinardi. Pinardi, G., Lambert, J.-C., Granville, J., Yu, H., De Smedt, I., van Roozendael, M. and Valks, P., "Interim verification report of GOME-2 GDP 4.7 NO2 column data for MetOp-B Operational Readiness Review”, Technical Note / Validation Report for the EUMETSAT O3MSAF (SAF/O3M/IASB/VR/NO2/095/TN-IASB-GOME2B-O3MSAF-NO2-2013), http://o3msaf.fmi.fi/docs/vr/Validation_Report_NTO_OTO_NO2_Jun_2013.pdf , 30 June 2013. .
Valks, P., G. Pinardi, A. Richter, J.-C. Lambert, N. Hao, D. Loyola, M. Van Roozendael, and S. Emmadi, Operational total and tropospheric NO2 column retrieval for GOME-2, AMT, 2011, Vol.4, pp. 1491-1514, SRef-ID: amt/2011-4-1491, http://direct.sref.org/amt/2011-4-1491, 2011. Pinardi, G., Lambert, J.-C., Granville, J., Clemer, K., Delcloo, A., Hao, N., and Valks, P., "MetOp-A GOME-2 GDP 4.3 / 4.4 total and tropospheric NO2 validation: 2007-2010", Technical Note / Validation Report for the EUMETSAT O3MSAF, (SAF/O3M/IASB/VR/NO2/095/TN-IASB-GOME2-O3MSAF-NO2-v4-2011), http://o3msaf.fmi.fi/docs/vr/Validation_Report_NTO _OTO_NO2_Feb_2011.pdf, 14 February, 2011. Lambert, J.-C., Pinardi, G., Hao, N., and Valks, P.: GOME-2 GDP 4.2 total NO2 (NTO/OTO) validation update and tropospheric NO2 validation set-up, TN-IASB-GOME2-O3MSAFNO2- 02 ORR-B 1, 24 November, 2008.